How to approach a gallery? 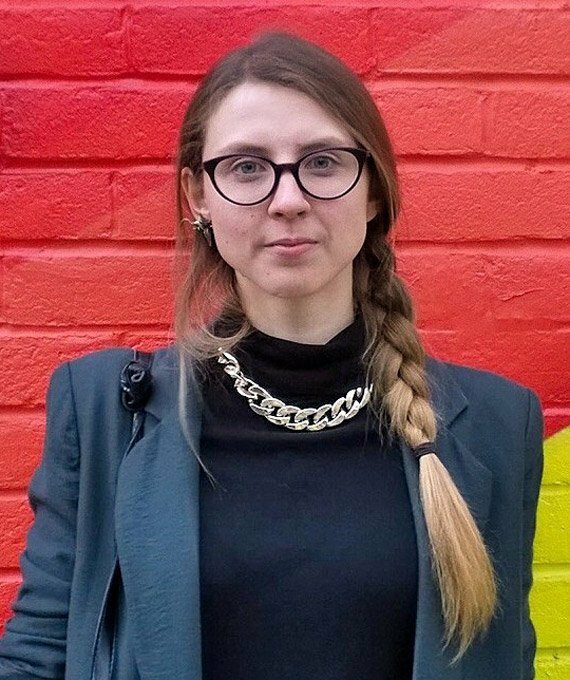 Jenny Judova author of ‘How to approach a gallery?’, is founder of Art Map London. SEA Foundation is happy to announce its collaboration with Jenny Judova, by launching a new e-book in our courseware section, written by Jenny Judova. After being publish in English, it now also is available translated into Dutch, for our Dutch speaking audience. 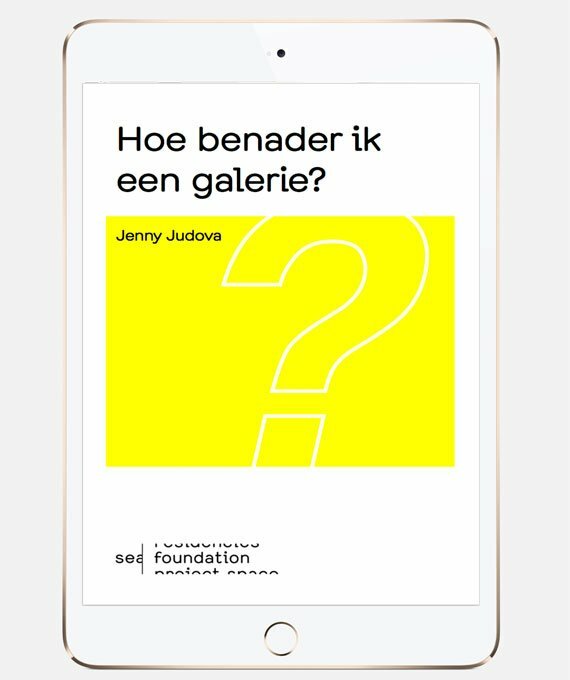 In late 2016 SEA Foundation invited Jenny Judova to collaborate and make her e-book ‘How to approach a gallery?’ available for a Dutch audience too by translating it into Dutch. So we set out on this voyage together and we are happy to launch her e-book as a SEA Foundation courseware publication. “How to approach a gallery?” e-book, is now available as “Hoe benader ik een galerie?” in Dutch. You find both PDF e-books English and Dutch in SEA Foundation’s webshop. “How to approach a gallery?” is based on her experience with contemporary art and the art scene in London. Jenny Judova is the specialist where it concerns the primary art market in London. 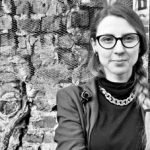 As the founder of Art Map London, Jenny Judova is well informed about what goes on in the art scene. It is because Jenny Judovas’ clear view and observation, that this e-book “How to approach a gallery?” is a must-read for everybody who’s active in the art world. If you want to learn more about the role of a gallery, art professionals like collectors, art dealers and the role of the artist, our advice is to study this e-reader in detail. In “How to approach a gallery?” Jenny Judova explains on the based on her experiences, how you as an artist can best advance your artistic practice. To introduce Jenny Judova a bit closer to you, I asked Jenny a few questions. Hi, Jenny, I think that readers would like to know a bit more about your back ground. So could you tell us a bit about how you set out in the art world when you came to London? Of course! I moved to London after spending five years in Glasgow studying Art History and spending some time in New York working for an art gallery. New York and Glasgow served as incredible introductions to the contemporary art scene, especially Glasgow. The art scene in Glasgow was fairly small but vibrant, with the majority of galleries scheduling their previews for the same night. If you were interested in contemporary art you went to the openings and each time you went you would meet the same people and over time acquaintances and friendships developed. Private views and galleries became part of my lifestyle. When I moved to London with its many galleries I could not wait to start exploring. Unfortunately for me, there was no map, listings website, newspaper, or magazine that would list previews and events happening in contemporary art galleries. So I spent a very lonely week in my room making a list of every gallery in London and then I got in touch with all of them asking to send in their events to me. And that’s how Art Map began. As you describe in your book, you perceived a big difference in the art scene between Glasgow and London? Definitely, the difference between the two is staggering. Glasgow has a very small art scene but it’s of an incredibly high quality. Both the commercial and non-commercial galleries in the city are of an incredible quality not to mention Glasgow is home to one of the oldest artist-run spaces – Transition Gallery as well as its home to a good half of Turner Prize nominees, and one of the best Art Schools in the world. Glasgow has some amazing art, and an art community but no art market. London, on the other hand, has everything in abundance. You will find the best and the worst the art world has to offer often on the same street. London has the buying power and the art market. The one thing that London lacks is an art community, in place of a community it has a lot of small cliques. How has the art scene in London developed over the few last years? I feel that the London art scene changes so much every few months that in the end, everything stays the same. On a micro level, I have seen gallery hubs disappear and reaper. Bethnal Green is a great example of that, 4 years ago it was a gallery hub then 3 years ago the prices became inflated and the majority moved out and then last year galleries started moving back to Bethnal Green. The more inspiring developments were the growth of grassroots projects and galleries all over London. In the last 5 years, there has been a number of galleries that started on a zero budget and which have gone on to become regular booth holders at Frieze. There have also been an encouraging number of free art schools appearing such as Open School East and School of the Damned. As founder of Art Map London, your work in London is at the very heart of the art world I would say. What is in your eyes, the most important development in the art world today, where we should take notice off? The disappearance of public funding across all levels of the art world and in most countries is the more important and troubling development. This means that not only commercial galleries but not for profits and artists will be fighting for the same private wallets. It also means that knowing how to sell your art or monetising your practice in other ways is becoming a crucial skill. To help artists to get a better understanding of how the art world functions you wrote your e-book “How to approach a gallery?” How did professionals in the art scene, responded to you about your book? So far the response has been overwhelmingly positive. The artists have embraced it and the reviews were incredible. It was also a bit strange getting recognised by people I did not know. Studio managers, not for profits, and most people who are involved in artist support started forwarding their artists to it when artists were seeking practical guidance. Commercial galleries were a bit more suspicious of it at first but they as well embraced it after actually reading it and realising that the advice is sound. Thinking about the importance of the role of a gallery in an artist’s career? How would you like to see things develop? I find that a lot of artists I meet want gallery representation, yet once they have it they become dissolution with it very quickly. At the end of the day, the majority of galleries are small businesses run by people and not magical career making entities. Even when you are represented by a gallery work does not stop, the artist still has to promote themselves and sell their work. Galleries that just focus on consigning and selling art are great when someone is starting out, but one cannot build a career just working with these types of galleries. Good commercial galleries that want to represent their artists and have a partnership with them are a different story but there, of course, the relationship is almost a marriage. One development that I really liked was how not for profit are moving towards becoming educational spaces and places for sharing knowledge and not just showing work. This is a development that I think is incredibly important. Planning a visit to London as an emerging artist to find new possibilities to show your work, in your view the most important is to meet up with peers. To contact with peers in London, what is the not to miss event in the coming year? Art Licks weekend is a must visit in this case. Art Licks offers an incredible experience of showcasing artists’ and emerging curators’ work. The projects participating are usually of fantastic quality and everyone is open to a conversation. Also, the choice of venues to exhibit artwork is often incredibly inspiring and makes you think differently about exhibition space, it can be anything from a parking lot to a flat, to a hairdressers’ shop. It’s also a great way of finding out what type of art is being shown in London and where.